Again with our doors, we only use the best quality locking system. Toughened glass is always used to make sure that the safety of the product is greater. You can have a choice of sliding doors, French doors, Georgian look and many, many more, with brochures available for each style. Our front doors now come in the popular colours of red & blue and these are the newest designs on the market. 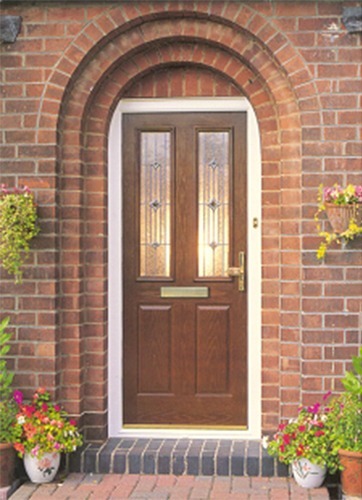 All our front doors come with a choice of glass designs, including stained glass, brochures are available for you for each of these designs. All of our doors are pretty much maintenance free (important! Lubricate moving parts) – Our Doors will not rot, flake, rust or fade. In fact the only thing you will need to keep them looking smart is to give them an occasional wipe with a damp cloth. 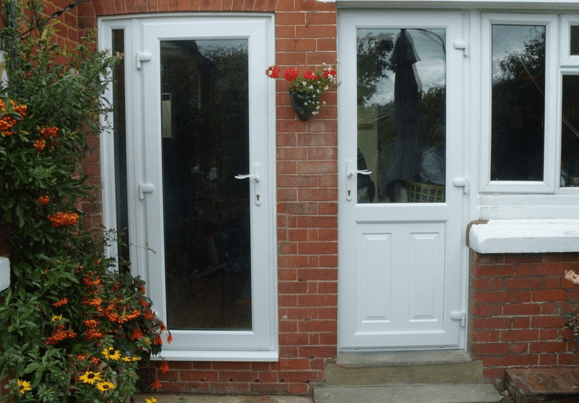 Our doors will keep you warm and secure – The uPVC doors that we supply will add warmth and comfort to your home by making sure that noise and draughts are kept out. The hinges, locks and keeps are fitted directly to the door’s steel reinforcement for unrivalled security.